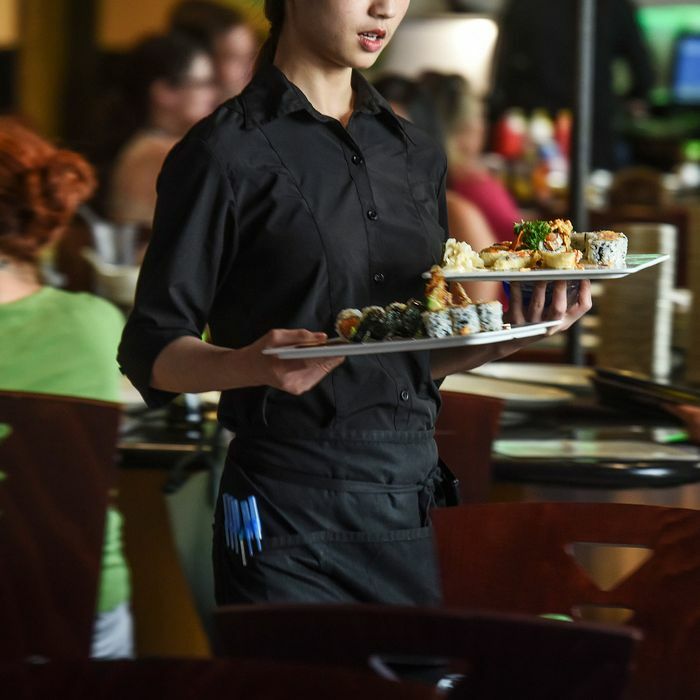 Nearly half of all U.S. servers are women under the age of 25. Since it is completely subjective, tipping is inherently unfair, and creates a shocking power imbalance between customers and the workers who rely on the tips to make their living. Now, the New York Times has a story highlighting one of the worst consequences of such blatant objectifying: It emboldens guests to abuse their servers. The Times gathered stories from more than 60 servers and bartenders that hint at the constant innuendo, phone-number requests, sexual propositions, marriage proposals, and even actual stalking. Here, it’s important to note how tough it is for them to simply walk away from that mistreatment: They need the money, and any move that potentially offends a customer (no matter how terribly that customer acts) can have a devastating impact on their tips. Also, their bosses often cultivate an atmosphere that downplays crude remarks or even casual harassment as innocent because they want to sell more food. Alcohol is especially problematic, since operators want to sell it and it tends to further disinhibit customers. The amount of abuse servers endure in hopes of receiving better tips is hard to quantify, but stories like the Times’ demonstrate the clear correlation between what female servers will tolerate, or even do, and how much money they’ll take home. • A server at Asia de Cuba “stifl[ing] the urge to scream” when a customer reached under her skirt and grabbed her crotch. She says she reported the incident to her manager, whose talk with the man ended in a handshake.